Wireless Bluetooth earbuds headphones are easier to wear since you don’t have to have a cord plugged into your device. If you are looking for a great pair of wireless earbuds that have a cable connecting them, Creative Outlier makes two great choices: Creative Outlier ONE and Creative Outlier Sports headphones. Having a cable to connect your earbuds will prevent you from losing one of your earbuds. Creative Outlier ONE headphones are wireless and Bluetooth enabled. There is an ergonomic, tangle-free cable that connects each earbud. The cable is black in color and goes behind your neck for a comfortable and tangle-free listening experience. You no longer have to worry about being plugged into your device. Move around freely while listening with your Creative Outlier ONE headphones. 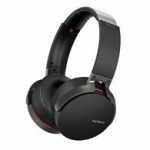 The battery life on these headphones is up to nine and a half hours of play time. A full charge takes two to three hours. 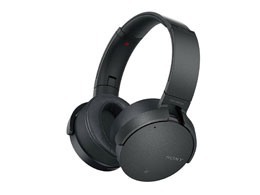 You charge them with a USB connector cable that comes with the headphones. These headphones have built-in controls and a microphone. There is an inline remote on the cable which makes it easier to take calls and manage your music without having to grab your device. 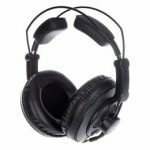 The Creative Outlier ONE headphones have ClearSpeech Engine technology for crisp and clear communication during phone calls. These headphones are waterproof and sweat-proof. 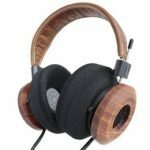 The Creative Outlier ONE headphones can endure the outdoors, including rain and accidental splashes without affecting your listening experience. 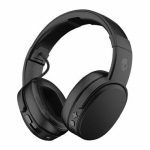 These headphones are IPX4 water resistance certified. Each earbud comes with AuraSeal silicone ear tips that isolate the noise around you so you can focus on what you are listening to. The way the ear tips fit inside your ears makes it easy for you to block out the world around you. Each earbud will comfortably sit in your ear and not fall out no matter what activities you are doing. The Creative Outlier ONE headphones are lightweight making them great for everyday use. They weigh 0.53oz (15g) and they measure 1.64ft (0.5m). When you have these headphones around your neck it will feel like they aren’t even there! 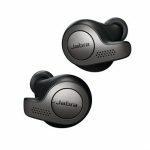 These wireless Bluetooth earbuds provide a great sound and a comfortable listening experience. 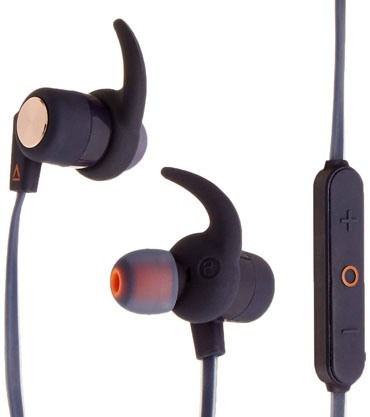 Their sleek design causes the earbuds to fit in your ears and not come out no matter what activities you are doing. 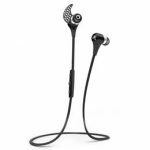 The Creative Outlier Sports wireless Bluetooth headphones have a slightly longer battery life at up to eleven hours of audio play time on a single charge. These headphones come with a USB connector charging cable. These headphones were designed for use during sports and exercising. They have an IPX4 rating making them sweat-proof and perfect to wear outdoors without having to worry about the elements or accidental splashes. The AuraSeal silicone tips on each earbud seal in your ears to help you block out any noise around you so that you can focus on what your re listening to in your headphones. The silicone tips come in different sizes so you can find the best fit for your ears. These soft silicone tips stay securely in your ears for a comfortable listening experience. The Creative Outlier Sports headphones are lightweight weighing just 15g. They are also wireless making it easier for you to freely move around while listening to your music. The Creative Outlier Sports include a microphone that is hidden on an inline remote so that you have easy access to calls and music controls. There is a cable connecting each earbud that goes behind your neck so it is out of the way for a cord-free experience. Connect your headphones to your device with Bluetooth so you don’t have to be plugged in to your device. 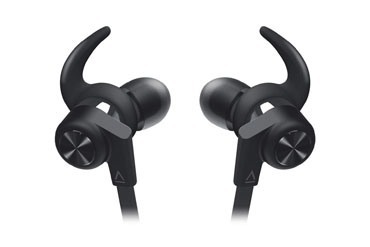 Either the Creative Outlier ONE or the Creative Outlier Sports would be a great choice if you are looking for wireless earbuds with an ergonomic connecting cable. The Creative Outlier Sports headphones can hold a slightly longer battery charge than the Creative Outlier ONE headphones. With the Sports you can listen just a little bit longer before having to charge them. Click here to purchase Creative Outlier ONE on Amazon.com! Click here to purchase Creative Outlier Sports on Amazon.com!